You have probably seen the pop-up ads before – Make money online! Work from home! They sound too good be true and in all honesty, there are a lot of scams out there and online “work” that simply isn’t worth your time. The good news is that there are legitimate ways to work from home and make money online without having to start your own business. The truth is, it’s really easy to make money online, if you work hard. I got paid $500 to write this blog post. How’d I do it? I signed up for Upwork.com, and found a client, and wrote a great article. Don’t worry, I’ll show you how to do it later in the article. This post is full of suggestions for concrete ways you can make money from home. Some of them you may heard of before and simply not pursued and some of them are less well-known sources of income. The toughest part is wading through all the potential scams and zeroing in on the best ways to make money. Fortunately, I have done the legwork for you so that you can get started right away! You will make as much money as you want, but you need to work smarter, not harder. Each opportunity comes with different advantages and disadvantages. If you want to invest minimal time, installing apps on your phone that track your internet browsing habits, opening a bank account or hunting for rare bills just take a few minutes of your time and can result in cold, hard cash. If you are looking for something that will produce long-term results, you might want to consider starting a blog, becoming a transcriptionist or designing an online course. These strategies have the potential to turn into full-time jobs that can help you support you and your family. With 50 viable options to choose from – just on this list – you can pick and choose which ones will work for your budget, your goals and your schedule. There are plenty of great websites that help connect freelancers and companies who need help with a variety of projects. If you are a writer, graphic designer, translator, transcriber or programmer, there are plenty of opportunities to build an online profile and acquire high quality jobs. Read more: Laura, from Travelers Universe, shares 7 habits of highly effective freelancers. If your prior work experience doesn’t translate well to these types of jobs, then you may want to stick to websites that pay you for offering your opinion, taking surveys and contributing more general information that is used for marketing purposes. While these don’t pay quite as well, with the right strategy you can bring in some extra income or start filling up your vacation fund. Spoiler Alert: a lot of online money making ventures involve taking surveys. Granted, while this isn’t the most exciting work, it also isn’t all that hard. You can click through questions while you watch TV in the evenings and make a few extra dollars while you catch up on your favorite shows. If this type of work just isn’t for you, then you simply won’t generate that much income. You may also want to look into exactly how much you will be compensated per survey. Some websites use a point system that involves their own system. For example, one point may equal one cent or one dollar. Make sure you are aware of the terms before you get roped into taking a four hour survey for 50 points that ultimately translates into a whopping $2. Chances are that you won’t become a millionaire by taking surveys and participating in focus groups, but there is no reason that you shouldn’t be fairly compensated for your time. Every website pays differently. Some will transfer money directly to you PayPal account at regular intervals or when you reach a certain balance. Other companies offer gift cards to other popular websites. If a gift card, even to Amazon.com, just isn’t going to cut it, then don’t invest your time. Remember when you could watch commercial-free videos online? It was a golden period in the history of the internet that has long since passed. Today, advertisers have commandeered video websites like YouTube so that no one can escape targeted ads. Why not turn the table on this annoying practice and make money watching videos? Websites like Swagbucks will compensate you for watching videos. It is a win-win situation. Advertisers get their videos in front of as many people as possible and you get paid for watching videos. 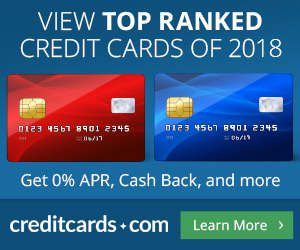 Take note: Swagbucks works by crediting your account with points that can eventually be redeemed for PayPal or Gift cards. Other search engines, such as Yahoo are also still on the radar and Bing is determined to win over new customers and climb to the top. As part of that effort, Bing will actually pay you to use their service. When you switch to Bing, you can earn points every time you search. At the end of the month, you can trade those points for gift cards to popular retails like Amazon and Starbucks. While this isn’t a huge money maker, making this simple change to your internet habits can help you nab an extra $5-$10 a month, which is nothing to scoff at. Business auditors are responsible for making sure that companies are living up to expectations. They send in secret shoppers to evaluate cleanliness, employee attentiveness and other factors that may be getting in the way of their success. Business auditors need your help. In some cases, you will receive a free product or meal on top of a small cash payment – just for ordering a pizza online or visiting a location and sharing your review. Who wouldn’t want to eat a free meal at a local restaurant and be paid $5? All you have to do is apply to be an independent contractor with Trendsource. They will connect you with opportunities near you. No one likes junk mail, right? Wrong. SBK Center, a market research company loves junk mail so much that they want you to email them all those annoying junk mail messages that clog up your inbox and send them the mountain of flyers that pile up in your mailbox. SBK will actually be excited to receive both your hard copy and virtual junk mail to use for their own research purposes. In fact, they will compensate you with Visa prepaid cards that you can use anywhere. In general, online surveys don’t pay well. If you spend your entire day taking surveys, it won’t be worth your time. The one instance where I would recommend taking a survey is when you are watching TV. If you have a weekend of Netflix binge watching planned, why not take some surveys while you are at it? Just like watching TV, these surveys don’t use up a lot of brain power. You can multi-task without missing important plot points and make a few extra bucks while you catch up on your favorite shows. Also, keep your eye out for higher paying ($10) surveys that come around every so often. Media Insiders Panel: Install their app and receive $5/month and a $5 bonus after the 12th week. You can even install the app on up to 3 devices for even more profit. Nielsen Mobile Panel for iPhones: Nielsen will pay you $50 a year just to have their app on your phone. Earning money couldn’t be easier. Digital Reflections: Instantly receive $5 for signing up and an additional $20 after you use the meter for 10 days. That is $25 for simply downloading an app. MobileExpressions: If you have an Android phone, listen up. Install this app and after a week, you will have the opportunity to play a game that rewards you with instant prizes. Don’t worry everyone wins something. Prizes range from Samsung TVs and iPads to $25 gift certificates to Amazon. You never know what you may win just for adding an app to your Android phone. To pay my way through college, I bought and sold clothes. Most likely you have items in your closet you can sell and earn extra cash. Not everyone is ready to get rid of their prom dress or pack off an old tuxedo and send it to Goodwill. Maybe you are hanging onto these old clothes for sentimental reasons or in the hopes that they might fit again one day. Whatever the reason, they can still be put to good use and not just occupy space in your closet. This may come as a surprise, but you can actually rent or sell your old clothes. Not everyone may be keen on this idea, but don’t be too quick to judgement. Check out these sites first before you make up your mind. There are plenty of protections in place to try and eliminate the risk of damaging rented clothes and if you just want to sell, you can get some great deals. You have probably seen these kinds of deals before: banks will offer you a certain reward for opening an account. The problem is that you have to show up at a physical location and deposit a big chunk of money. At Santander, that simply isn’t the case. All you have to do is open a checking account and make direct deposits totaling at least $500 within the first 90 days. Keep the account open for 90 days and you will receive $150 and all it takes is a $25 deposit to get started. There is no need to close any of your existing bank accounts. If you are more of a spender than a saver, you might consider using this account to stash away money for vacation or other occasions. This month alone, I will make $700 working for Google. The same goes for Yahoo and Bing. I don’t even have to leave the house or put on work clothes. How can you make money working for the world’s biggest search engines? Sometimes the results that pop up aren’t relevant or useful. Sometimes they are just plain wrong. Search engines need actual people to find these mistakes and help them improve their services. If you would like to learn more about this online money making opportunity, take a look at this article. Have you noticed that more and more of your friends have taken up knitting? At the moment, knitting is the hot new hobby. Young people have taken over and made it cool again. It is so popular that pattern designers need knitters to test out their work and provide feedback. If you are an avid knitter or interested in picking up the hobby, you can join Ravelry, connect with other knitters and crocheters and find work as a tester. Knitters can sign up to be a part of Lee Meredith’s master list of testers and be contacted directly when a project is available. As a test knitter, you will be given exact instructions that include the size of the knitting needles, yarn weight and amount and any other details. As you go through the project, you will leave your feedback in a shared Google document. Your input will be used to adjust and perfect the pattern before it hits the market. Just remember that there are deadlines and certain feedback requirements involved in order to be compensated. Those who successfully complete a project will be given a finished version of the pattern and around $20 to a virtual knitting store. If a project is particularly complex or comes with a tight deadline, you can expect to be rewarded with additional credit. I don’t know about you, but my grocery store receipts end up in the garbage as soon as all the groceries have been unpacked. But what if that little slip of paper could actually help you earn rebates that you can put towards the items you use most? The Ibotta app will give you a cash rebate if you take a picture of your grocery receipt with your smartphone. And don’t worry, these aren’t rebates for weird items at stores that aren’t even in your area. You get to shop at your favorite store and get deals on steak, chicken, bread and eggs. Saving on all those grocery staples will free you up to splurge on some other tasty treats. If you like the idea of recording your receipts, download Checkout51 and save even more when you use both apps! You have been meaning to drop those last few pounds for a while now. Well, there is no time like the present and perhaps getting paid to look and feel better will provide that last little boost of motivation that will help you reach your goals. Interested? Checkout HealthyWage and DietBet. Both sites allow you to wager on your weight loss and earn money when you drop the pounds. If you already workout regularly, why not put your skills to good use and help inspire others? Start a boot camp at your local park and do small group fitness classes. Chances are, your friends will be some of your first clients and it won’t take long for the word to spread. In fact, boot camp serves as its own advertising. People will see you working out and want to join. Even if you can get 10 people to join for $10 a class, that is $100 per class! With the holidays around the corner, you can sell your old junk and start buying your friends and family new junk! There is always the tried and true garage sale or Craigslist to get rid of stuff that has been collecting dust around the house, but one of the coolest tools around is the Bookscouter app. Unless you plan on rereading all those beach books, you can simply scan the book’s barcode and compare offers from over 20 book buyback companies. It couldn’t be simpler. Choose the company the offers the most cash and covers shipping costs so that you don’t have to pay any money upfront. In most cases, all you have to do is fill out payment information and print a shipping label. Not only will your house be a little less cluttered, you will have more money in your pocket, which means more money to spend on new books! If you are wary of all the advertisements out there for stay-at-home jobs, I don’t blame you. Most of the time there is a catch or you end up making cold sales calls, which can get old pretty quick. However, that doesn’t mean that there aren’t legitimate opportunities out there to be had. You can earn up to $25 working as an at-home transcriptionist. There is little to no prior experience required. You set your own hours and often time, you can work as little or as much as you want. It is truly one of the most flexible jobs around. Beware: this type of work is best suited for detail oriented people who don’t mind repetitive tasks. You will be asked to listen to audio several times over to make sure that everything has been correctly transcribed. If this sounds like a real headache, then you might want to keep reading for more ideas that may be better fit your personality and strengths. As a regular internet user, you probably find yourself frustrated with poorly designed websites on weekly basis. Maybe you have trouble finding contact information or you need want to learn more about pricing and have wasted precious minutes trying to navigate the site. Instead of complaining to your friends and family, why not put those critical insights to good use? Websites need people like you to provide valuable feedback that will help them make meaningful improvements. In fact, you can make $30 an hour as a website tester! You can sign up with the company User Testing, download software, provide feedback and get paid. The software records your mouse movements, clicks and keystrokes as you explore the site. You may also be asked to record a few thoughts and answer some questions at the end. Typically, the entire process takes about 15 minutes. Now all that criticism can actually be constructive for both you and websites. I actually had a co-worker who used to take time off from her full-time job to go participate in focus groups because they paid so well. Making $100-$200 for an hour of work definitely beat our hourly wage. While in-person focus groups pay the most, there are also online options that are even more convenient. In today’s world of marketing and advertising, there are very few companies who will introduce a new product or start playing a commercial without first running the ideas past a focus group of consumers. You simply answer some questions and give your opinion. This feedback helps companies make major decisions, so they are more than willing to pay you for your time. ProOpinion is one of the most reputable organizations that you can sign up with in order to be paired with the right focus groups although there are plenty of other great options. Check out this comprehensive list for more suggestions. Wait. What? Yes, it is 100% true. You can get paid for watching TV. In fact, you can get paid for answering trivia questions about last night’s shows. Do you know who was the last contestant to be voted off The Voice? Do you know who was killed on the most recent episode of Grey’s Anatomy? Then RewardTV needs you. Granted, it doesn’t pay much, but I would be quick to argue that any money you can make off of watching TV and playing trivia is a total bonus. Also, I don’t know too many people who would turn their nose up at an extra $20 a month. You could actually pay your cable bill by watching TV. It doesn’t get much better than that. Even the biggest of internet giant can’t function without the human element. As an Amazon Mechanical Turk, you will be asked to simple tasks. Basically all you need is a computer. The key to make money through this endeavor is to grab tasks as they become available. If you spend too much time searching around for just the right task, it won’t be worth your time or effort. Most tasks take about a minute, so there is really no need to be picky. Just pick one, complete it and move onto the next one. The more tasks you can complete, the more money you can make, so don’t get too caught up trying to find the ones you like. If you can work quickly, you can average $6-$10 an hour. Again, you aren’t going to get rich, but it might provide some much needed extra income or funds for your vacation jar. While there are plenty of scams on the internet that offer similar work parameters, you can feel confident about working with a big name like Amazon. It just keeps getting better, doesn’t it? Yes, you can sign up with the Nielsen Consumer Panel and they will pay you to show them what you buy at the grocery store. Participants can either use their smartphone or receive a free scanner so that you can scan the barcode on the back of each product and send that information to Nielsen. As you scan grocery items, you earn points that you can redeem for a variety of different merchandise. Parents can choose toys for their kids or treat themselves to jewelry and electronics. The longer you stay with the panel and contribute information, the more potential there is to earn prizes and enter sweepstakes, which could help you net a dream vacation or a brand new car. You can make money writing! If your parents spent all four years of your college experience warning you that an English degree would leave you penniless and living in their basement, here is your chance to put your skills to work and prove them wrong. Search engines reward websites with great content by moving them up the search engine rankings. This means that thousands upon thousands of companies and blogs need a constant stream of well-written articles on a wide range of topics. While you can infer from the URL, that this site includes a lot of information about couponing and saving money, it also addresses a lot of other interesting topics such as: parenting, personal finance, fashion, etc. Choose a topic that best aligns with your own interests and you will have a better chance of having an article accepted for publication. The webmasters guarantee that you will hear back from them within 7 days and you will receive a payment of $50 through PayPal. To learn more about how to get started, click here. This site is all about the lists. The internet has been taken over by lists that rank just about everything, from the best cities to live in America to the best 80’s movies. If you can put together a list of at least 10 items and include a compelling explanation of why each item made the list for a total of around 1,500 words, then you can write for Listverse and make $100 an article. Click here for more details. Consumers are by far the best resources for innovative ways to save money. Do you have a great idea or trick for cutting costs? If so, then we need you to become a contributor and share your knowledge with the world. Take a look at our guidelines and see for yourself whether it is a good fir. This website works a little differently, but still provides a legitimate place to earn additional income through writing. Companies will post assignments on the open job board and advertise a price per word for each project. When you are starting out, there won’t be a lot of options or high paying jobs, but once you get a few successful articles under your belt, you will gain access to more lucrative opportunities. All of us take photos on our smartphones. Some of us are better at it than others. Personally, I still manage to get my thumb in there every once in a while. For those with a better eye for composition, you can sell your photos online. For the tech minded individuals, you can work for Apple without ever having to leave your home. No need to worry about fighting rush hour traffic or suffering through small talk at the office coffeemaker. As an Apple At Home Advisor, you will provide virtual support for customers who are taking advantage of the AppleCare customer service program that covers iPhones, iPads and MacBooks. You can experience unbeatable flexibility while also working for one of the world’s most recognized brands. At the moment, Apple is advertising for these positions on job boards all over America, so it doesn’t matter where you live. All you need is a certain amount of technical expertise and the ability to meet Apple’s standards. If you think you might have what it takes, click here to learn more about the application process and read the full job listing. Usually, when your register your information with a website, all you get is a daily or weekly newsletter that is soon redirected to your junk mail. If you are lucky, they might send you a 20% off coupon or some other incentive to shop at their site. However, that isn’t always the case. For examples, Ebates is a great shopping website that gives you a $10 gift card for signing up. Sure, you have to wait 30 days, but then you get to enjoy a gift card from your choice of Target, Walmart, Macy’s or Kohl’s. In the grand scheme of things, 30 days isn’t long to wait for free money. You can become a teacher without having to go back to school and pay for a special certification. Like most people out there, you probably have a skill or a hobby that you enjoy that you have mastered. Perhaps you are an expert at woodworking or sewing. There are plenty of people out there who want to learn those skills. Why not make a business out of teaching them? Choose an area of expertise and offer lessons. Most people charge between $25-$50 per lesson. This means that there is a lot of potential to make significant money. The best part is that the website offers plenty of support when it comes to creating your course. Even if you have never taught before, you can network with the site’s community of users to help learn the ropes and design a helpful course that people are willing to pay to access. Some people have been extremely successful on Udemy, including one guy who was able to net $500,000 by selling his courses. While you may not be lucky enough to have your own craft room, that doesn’t mean that you aren’t the Martha Stewart of your hometown. In the past crafters and artisans have had to lug their wares around to various crafts shows, set up a booth and hope that they made enough to cover travel expenses. This type of approach requires a true passion because the hours are long, the weather doesn’t always cooperate and the profits can be discouragingly low. The good news is that online marketplaces like Etsy have changed the landscape. Amateur artists and crafters can create an Etsy store and sell their wares online without have little to no overhead costs. Plus, you are able to reach a much wider audience than the crowd who might be wandering the streets at the local farmer’s market. In just a few minutes, you can set up an international business! While everyone has varied success on these sites, I did come across one promising story of a mom who is able to earn $70,000 a month on Etsy. Check out her story here. No doubt you have heard the saying that one man’s trash is another man’s treasure. Americans alone throw out 266 million tons of trash every year. One has to imagine that all of that trash isn’t completely useless. My little brother furnished his entire apartment by dumpster diving and while it didn’t make for the most cohesive look, he got his hands on some really great finds. When it comes to selling your trash online, buyers aren’t just looking for old furniture or clothes. Almost everything you can think of is in demand: from empty wine bottles to old newspapers and magazines. You will be amazed at what your trash is worth. Click here to learn more tips form the experts and find out what your trash might be worth. Yes, there is a website called Fiverr where you can sell your services for $5 a pop. You decide what you will do, how long it will take you deliver and people can hire you for a mere $5. It is a great way for people on a budget to enjoy access to highly skilled workers and it provides writers, designs, etc. to build an online reputation and make little extra money. The site also goes way beyond daily office type tasks. You can literally sell anything on this site for $5. With over 4,000 new gigs created every day, there is no limit to what people will spend $5 to purchase. With that kind of marketplace, there is SOMETHING you can sell for $5. For new companies trying to keep overhead costs to a minimum, branding can be an expensive undertaking. Most small businesses simply don’t have the budget to hire a professional firm, so they turn to crowdsourcing websites to help with the creative process. Websites like NamingForce.com and SquadHelp host thousands of naming contests that allow creative people like you to earn an average of around $100 to help a company come up with a great new name. Typically, a company will provide a little background information and post a prize amount that can range from $50-$500. The winner of the naming contests collects the cash. Pretty easy, right? The winner of this particular contest will receive $250! Websites like Airbnb provide a great service to those looking for affordable housing while traveling. Even if the rental price is just as much as staying in a hotel room in one of those big chains, people are willing to pay in a homey environment where they aren’t surrounded by other guests. This is a great way to put your home to work for you especially if you have the extra space. Of course, even small one-bedroom apartments will find plenty of willing renters. If you think this might be a good route for you, check out these tips to ensure a great Airbnb experience. Those who do well on this site are able to bring in hundreds of dollars of extra income every month. Next to healthcare, education is one of the leading industries and its growth isn’t showing any sign of stopping. In fact, experts are projecting that by the year 2017, online tutoring will produce $100 billion in revenue. Why not get your piece of that market? With online tutoring, you don’t have to worry about setting up appointments, choosing a location and spending hours in a coffee shop working with students. If you don’t want to, you never even have to leave the comfort of your own home. Just by sitting at your computer, answering questions, providing guidance, explaining notes and creating online tutorials, you can make some major money. All you have to do is share your knowledge! Perhaps the most difficult aspect of working as an online tutor is getting matched up with students. Luckily, there are plenty of sites to help. AceYourCollegeClasses.com is just one example of a site where you can market your skills. As a successful online tutor, you can expect to make tens of thousands of dollars. Let’s face it; everyone loves a good back-rub, even your furry friends. People who really love their pets have no limits when it comes to pampering their animals. If you love animals and wouldn’t mind making $50 an hour, you can become a pet massage therapist. While it might sound a little unconventional, it is actually a growing field. A massage is great for health, especially for older dogs and cats who have arthritis or pain from old injuries. With a little training, you can taking petting animals to a whole new level, spend your time with adorable little creatures and make a livable wage doing it. Think that becoming a pet masseuse might be the right career move for you? Click here for some advice on how to get started. Sometimes the ideas coming out of the advertising wing of a company start getting a little stale. Not only do startup companies need help with names and domains, they also need your help writing slogans. Are you known among your friends for the witty one-liners? Can you describe a product in just a few words without getting caught up in tired old clichés? If so, you can make money writing slogans. Both new and existing companies need help with attention grabbing taglines, catchphrases that can be instantly associated with a brand and even jingles. Think about the thousands of greeting cards and bumper stickers out there in the world. You could be helping to write them. Instead of turning to the same old team of writers, companies often open their projects to freelancers and the public at large. Anyone enter a submission and/or win a contest. It certainly doesn’t hurt to throw your hat in the ring, especially when the rewards can near $1,000. Slogan Slingers: Again, the whole idea is that registered writers compete for cash prizes by submitting slogan ideas. You can sign up for free and this site advertises the most lucrative prize amounts with some contests offering $999 for a winning idea. Freelancer.com: While this site caters to a variety of freelancers, you can visit the slogan section to participate in contests. Every project comes with a different dollar amount, but it is quite common to see slogans going for $150. It is easier than ever to start your own blog. Content management systems like WordPress mean that you don’t have to learn code in order to build a website. Drag and drop design features and pre-made templates can give your blog a professional look in just a few minutes. Plus, there are plenty of great resources on the web that will give you step-by-step instructions on how to get set-up. The first big decision you will have to make is choosing between a free account and a self-hosted blog. While a self-hosted account will require you to invest $6-$10, it is well worth spending some money upfront so increase your chances of bringing in revenue through your blog. For more information on how to start a blog, visit my step-by-step guide. Now for the big question: how do people make money blogging? Let’s start with advertising. Once you have been working on your blog for a while and posting valuable information that targets a certain niche audience, you will find that you have accumulated a loyal following of readers. Depending on the topic of your blog, you may be approached by advertisers looking to put their products in front of potential customers. For example, let’s say that you are a stay-at-home mom and you decide to build a website that caters to other moms. Companies that sell baby food, strollers, cribs and other relevant products are going to want to appear on your blog because that means direct exposure to their target demographic. As the blog’s author, you can sell ad space on your blog! The best way to do this is to set up a monthly subscription. For a certain monthly fee, companies can rent space on your blog and post their advertisements. The more readers you have, the more money you can negotiate for each ad space, so get writing! The great part about monetizing your blog, is that once you put advertisements in place, the rest is pretty hands off. You don’t have to worry about constantly maintaining the ads. Instead, you can focus on writing and building an audience. For example, affiliate marketing allows you to place advertisements on your blog. Every time a reader clicks on that ad and makes a purchase, you receive a commission. It really couldn’t be easier. High ticket items typically come with a higher commission with some companies offer a 10% commission. Just think: a reader visits your site, clicks on an ad and makes a $3,000 purchase and you automatically make $300! Rakuten Linkshare: This is a great place to start because you can gain access to the top players such as Walmart and iTunes and also work with smaller companies who may speak more directly to your audience. Shareasale: A super reliable and trustworthy program. It is easy to get started and you never have to worry about getting paid on time. You will also enjoy the opportunity to work with over 4,000 national and international brands who need your help to promote their products. Clickbank: Enjoy the highest commissions around with this program. Certain companies are will to give you up a 75% commission for helping them make sales. JVZoo: This program probably offers the widest range of companies with lots of focus on niche markets. If you have a travel, cooking or education blog you might want to start here. The idea is basically the same as selling advertising space or participating in affiliate marketing programs. You work with Amazon to create links from your site to their product pages and earn a commission every time a reader makes a purchase. The difference is that you are working with the largest online retailer that sells absolutely anything! Your chances of converting blog visits into sales are exponentially higher when you partner with Amazon. In fact, you can create an entire “Store” on your website that lists relevant products. If you have a health and fitness blog, you can create a store that is full of your favorite equipment, supplements and clothes. You can also encourage purchases by using your blog posts to review products. A positive review and a link to Amazon can mean money in your pocket. If every penny counts, then use Google Adsense to further monetize your blog and bring in more revenue. You have seen these ads before: usually they are short and sweet and appear throughout websites. Generally, they just contain text and they are fairly unobtrusive. Every time a reader click on one of these small Google ads, you earn money. Granted, sometimes it is just a few cents per click, but that is nothing to scoff at especially when there is so little effort required on your part. Once you have registered and created a Google Adsense account, all you have to do is go into the administrative section of your blog and decide where you want the ads to be placed. From there Google does the rest of the work. They will analyze your website and insert the more relevant ads based on your content. If a certain ad isn’t performing well on your site, they will switch things up for you. Again, your main job is to bring in readers. They will do all the grunt work for you. Got a great idea for a t-shirt that you just know would be wildly popular, but wary of taking on the overhead costs that come with producing hundreds of shirts? With Teespring, you can make your ideas come to life and get the help you need with the production and shipping aspects of the business. There is no hassle and very little risk involved. All you have to do is use your creativity to come up with marketable ideas and work to promote your shirts. They will take care of the rest. This is a great way to test the waters or even create custom shirts for family reunions, sports teams or special events. If you are a great cook, there are plenty of hungry people ready and willing to eat your food. EatWith is a website that allows you to connect with people looking for a great meal. While you will have plenty of locals making reservations, this is also a great way for travelers to enjoy a home cooked meal and sample some regional food. You can go the extra mile by creating an entire dining experience in your home. Roll out the best china, iron the tablecloth, light some candles and set your own price per plate. As the host and cook, you are completely in charge. Choose the dates and times that work best for you and how many people you would like to serve. Not only can you improve your cooking skills and meet new people, you can actually make money! With RelayRides, you can rent out your extra car or get paid for renting your car out while you are away on vacation. You are in total control of who rents your car, when and for how much. Best of all, you are totally protected by a $1,000,000 liability policy with every rental. If your car is damaged or stolen you are completely covered and don’t have to worry about spending a dime of your own money. In addition, all the renters are thoroughly screened by the website, so you can start enter each rental agreement feeling confident that everyone involved with have a pleasant experience. While not everyone has a second car that they can lend out, don’t forget about putting your primary vehicle up for rent when you are out of town. Imagine being able to earn money while you are enjoying a cocktail at the beach. Sometimes it is about working smarter and not harder. Do you live in a big city where parking is at a premium? Or maybe you just have a large driveway or garage that you wouldn’t mind lending out to someone in need. With JustPark, you can list your space for free and find interested renters. You are free to set all the terms of the agreement. Feel free to specify what dates and times the space is available, how much you would like to be paid and when. You will be surprised at how many people out there are willing to pay to use your extra space. Do you spend most your day with some music playing in the background? Do you love discovering new bands? If so, this opportunity couldn’t be better suited to you! Slicethepie simply asks participants to listen to unsigned bands and artists online and leave a review on their website. The most active users build a reputation and can earn about $50 a month just for listening to music for a few minutes each day. While that may not sound like a lot of money, you are getting paid to doing something you already do on a daily basis. On top of the financial rewards, you also get a sneak peek at emerging artists. Most music lover would gladly take on this job for free. It might sound like the plot of an 80’s movie, but Rent a Friend is an actual website where people with a disposable income go to buy friendship. No joke. Remember, this is not a dating website! You aren’t going on dates, but you will be offering companionship to those looking to get out more and enjoy fun activities. A lot of time people who have just moved to a new city use the site to connect with a local who can show them around and help them become more familiar with their surroundings. As a rentable friend, you get to choose which activities you want to participate in and set your own price. Users make between $10 to $50 an hour. While this does require you to leave the house and interact with strangers, you are earning money while eating out, watching movies and tagging along on shopping trips. It isn’t such a bad way to spend your time and the money isn’t bad. In fact, some people have turned it into a full-time job and make $2,000 a week. Even if you just dedicated your weekend to being a friend, you can still bring in an extra $500. The site also allows you to designate whether you just want to hang out with men, women, or both and what kind of activities you would be interested in partaking in. In my humble opinion, Uber and Lyft and other ride services are the greatest thing since sliced bread. The basic idea is that you use your car like a taxi and provides rides around town. Riders pay you through the company’s app, so you don’t have to worry about people handing you crumpled dollar bills that they have just fished out of the bottom of their purse. In addition, you get to rate riders, so if you have the unfortunate experience of picking up an unruly or rude rider, you can leave a review that may prevent them from being able to use the service again. As a driver, there are plenty of protections in place to make sure that you are safe and well compensated. Many college students and retirees are working for these services to make extra money. You set your own hours, work as long as you want and make good money. Rates adjust according to demand, so you can end up making over $35 especially during the holidays. While we have already discussed websites that help you teach courses or become an online tutor, Italki is specifically geared towards those who want to help people learn a new language or work on their language skills. The site is looking for people to teach English, French, Spanish, Italian and much more! The website takes care of all the marketing, payment issues and scheduling. You get to focus on teaching without have to deal with the hassle of all the administrative chores. For all the fashionistas out there who obsessively take selfies of their outfits and share them with their friends, this is one of those perfect opportunities to get paid for something you do anyway. Stylinity has found a way to turn your selfies into cash. Once you sign up, all you have to do is take pictures of your outfits and tags the photo with information about the items you are wearing. Basically, you are working as a model for the clothes you already wear. You provide exposure for the brands you buy and make a little bit of cash for being a part of an extensive marketing and advertising team. A lot of people end up stashing their old phones into the back of the closest because they aren’t sure what to do with them. It seems like a shame to throw them out, but who else is going to want an ancient phone? Gazelle wants your old cellphone or mobile device! You will be surprised to learn just how much your old devices are worth and even if you just get a few bucks, you know that your phone has a chance at a whole new life and your closet will be a little less cluttered and disorganized. You aren’t a teenager anymore, which is exactly why you know just how valuable babysitting services can be. Now that you are old enough to have you own kids, there is no one more qualified to watch children. You come armed with fail proof techniques for getting toddlers to go to bed, administering smushed peas to infants and negotiating with angsty teenagers. There isn’t much you haven’t seen or any situation that you aren’t equipped to handle. You spend most of your time surrounded by children, so why not make money doing it? You can always start with advertising your service through word of mouth to friends and acquaintances or you can harness the power of the internet to get matched up with families who might need a night off. Sitter City and Care both allow you to advertise your services for free and you can always put that extra income towards taking your own mini-vacation. Yes, people are willing to pay more than a dollar for a dollar. Collectors are always on the lookout for rare money with specific serial numbers. Visit CoolSerialNumbers.com, take a look in your own wallet and see if you may be sitting on more money than you think. Spending just few minutes cross referencing the serial numbers on your money with the numbers that collectors are looking for could net you thousands of dollars. If you have a love of politics, there are advocacy groups that need your help spreading the word, writing letters and helping with grassroots efforts. You can work from home and advocate for important issues from healthcare and energy to defense and taxes. Basically, your job will be to help constituents write letters to their congress people. Your main goal is to help people express themselves so that representatives get a more accurate perspective on how their voters feel about particular issues. Next Wave Advocacy, LLC and DDC Advocacy are just two groups that could use your help. At-home workers make $12 to $15 an hour. Unlike some of the other money making opportunities we have discussed, being a political advocate isn’t quite as flexible. Organizations typically want you to be able to commit 20-25 hours per week. If you can spare that kind of time and you have a real passion for social activism and politics, then this could be a great fit. People don’t have enough time to walk their dogs for three miles every day. They keep meaning to repaint the living room, but there just never seems to be enough time. The shrubs in front of the house have gotten so big that they are blocking out any sunlight, but who has the time to go out and tame the landscaping? You have the time! Most chores don’t require any special skills, you just be available to take care of all those annoying tasks that get pushed to the side when schedules are tight. Craigslist is still a viable source to find odd jobs in your area. Give your time, do a little hard labor and enjoy some extra cash. Whether you need some extra cash or you are looking to supplement your vacation fund, there are a million ways to make money. In most cases, you don’t even have to leave your home. All you need is an internet connection and a little ingenuity. time and yours is the best I have came upon till now. But, what concerning the conclusion? Are you sure in regards to the source?